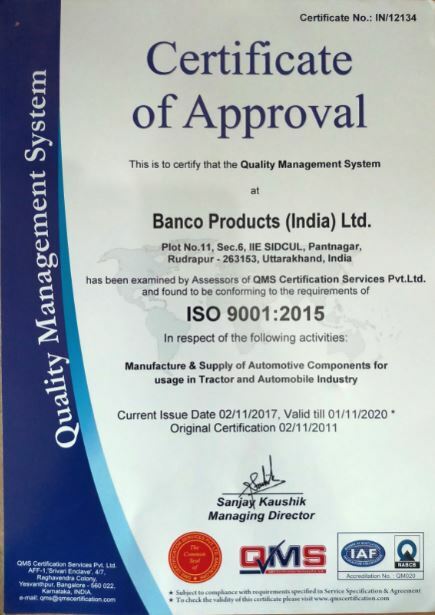 Banco’s mission is to provide the end customers with the highest quality products at the best value along with after sales services and professionalism. 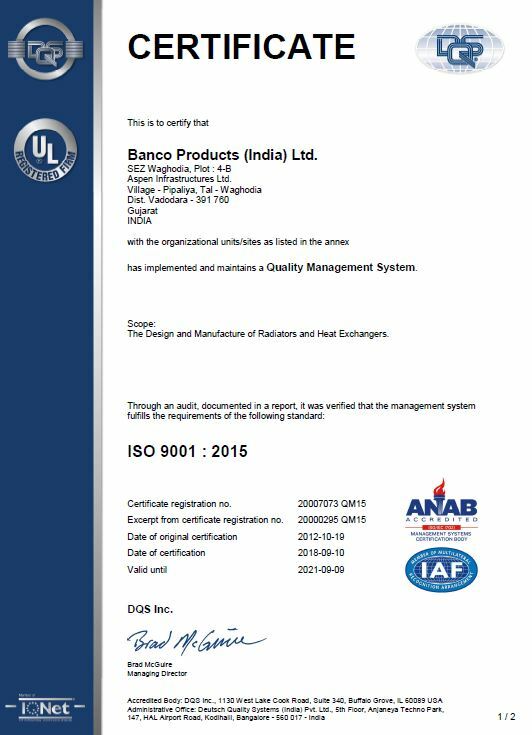 With the ongoing technological advancements and sophistication, Banco has taken several initiatives to provide more accountability and quality checks throughout their supply chain. 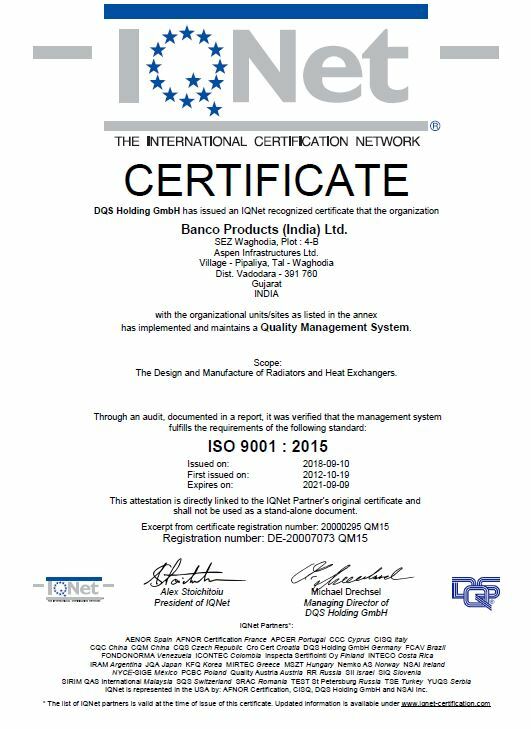 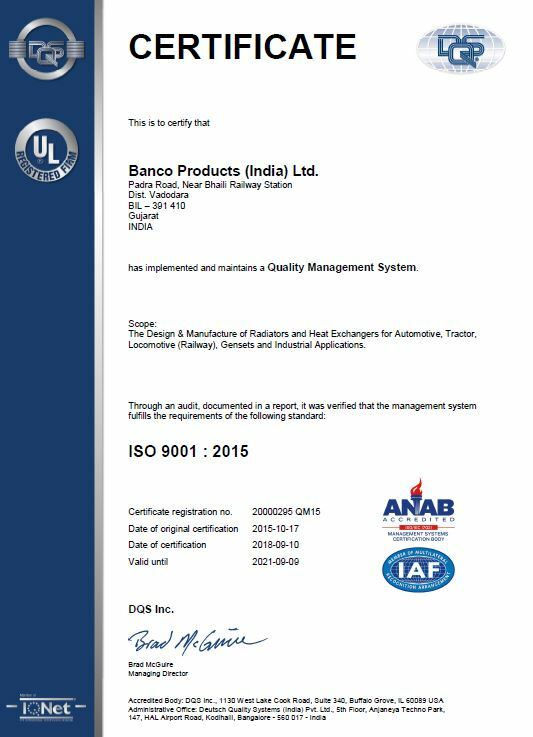 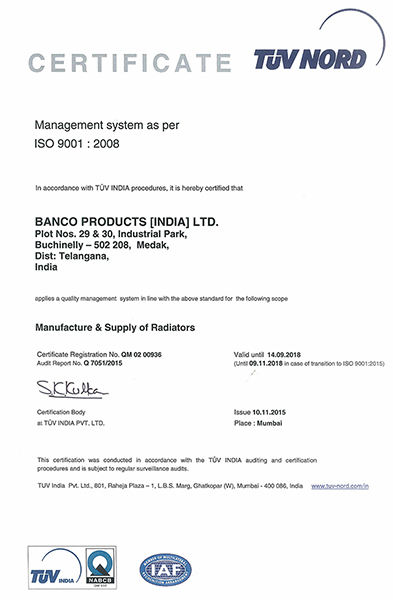 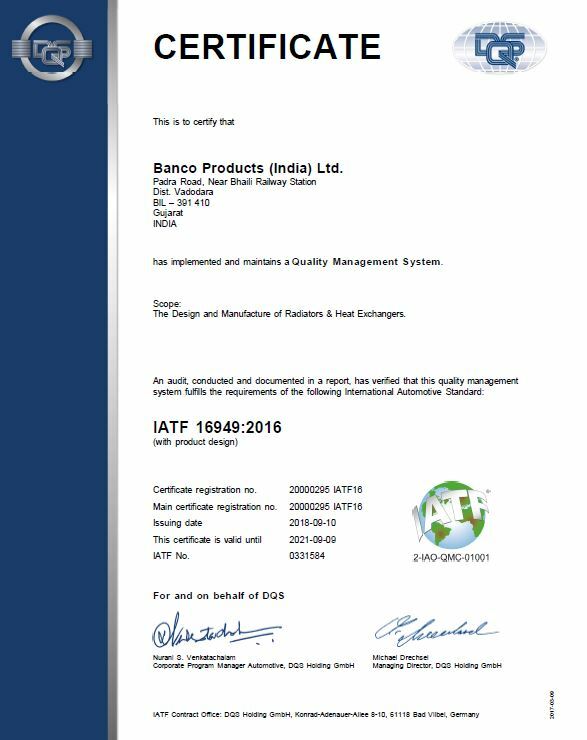 The company adheres to stringent quality and manufacturing norms set by the International Standard Organization (ISO). 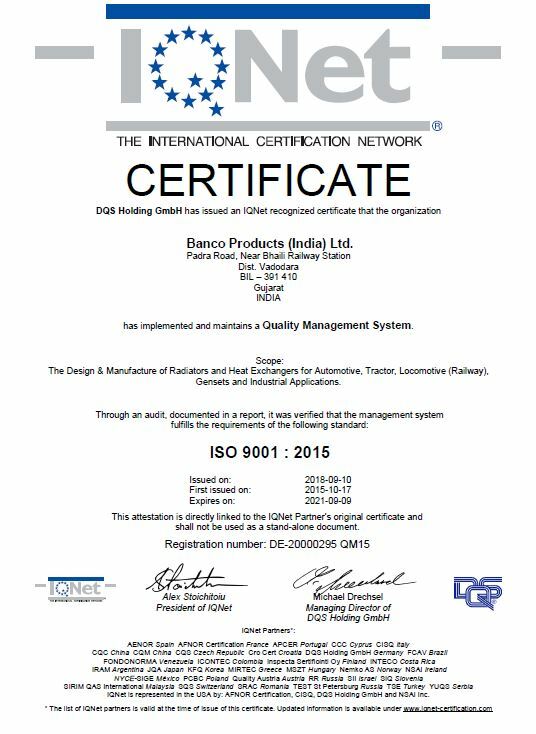 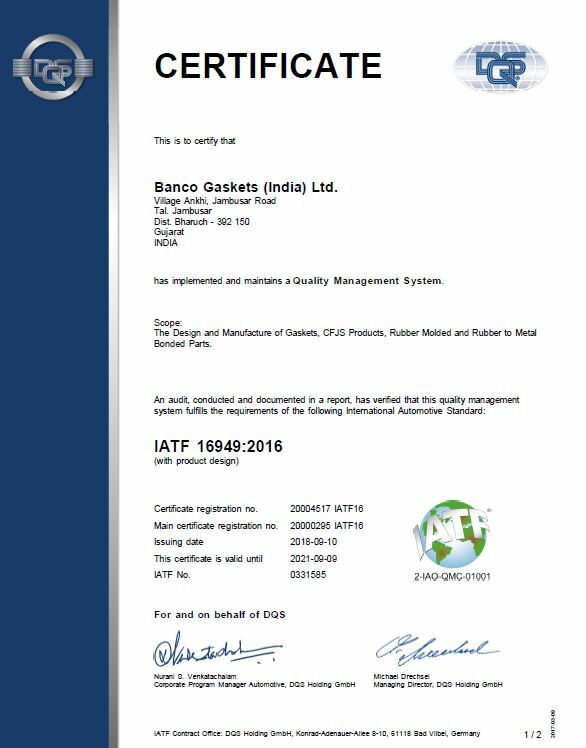 Our certifications are the testimony of the best practices for industrial and commercial standards as well as for quality products, services, and systems.